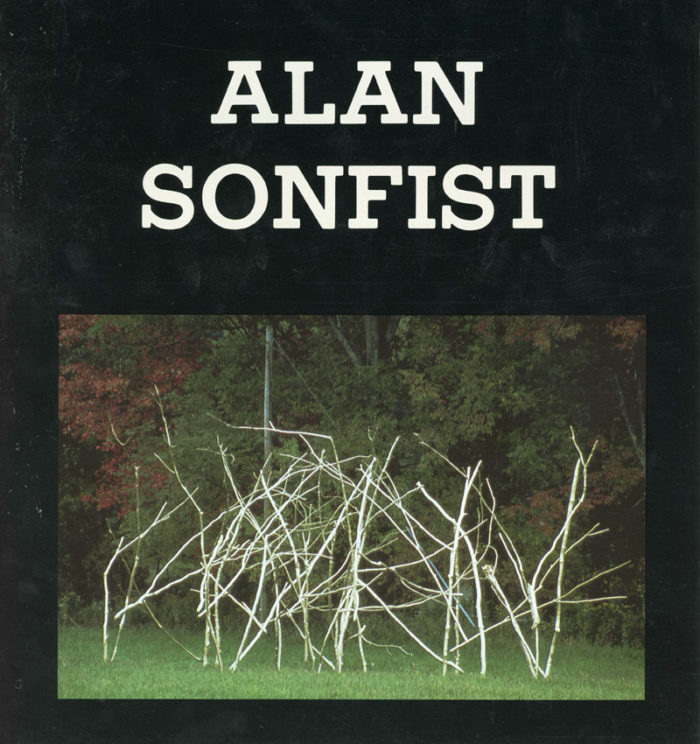 80-page catalogue of Alan Sonfist’s work featured in exhibition 1969-1989, accompanied by interview with Robert Rosenblum, at the Hillwood Art Museum at Long Island University, 1990. Catalogue is signed by the artist on the title page, and features an extensive interview with Robert Rosenblum, images of the artist’s work, and a condensed biography. 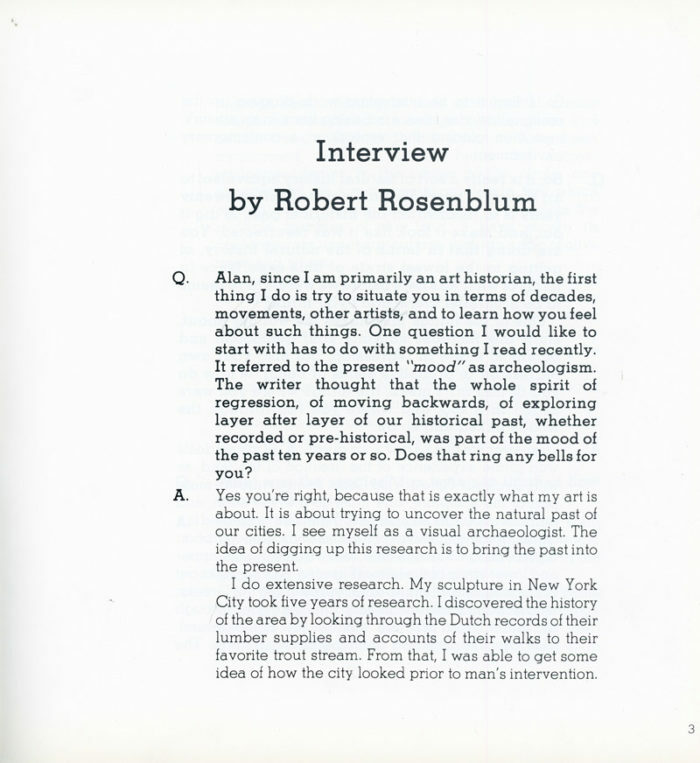 Beginning of Rosenblum’s interview with Sonfist.